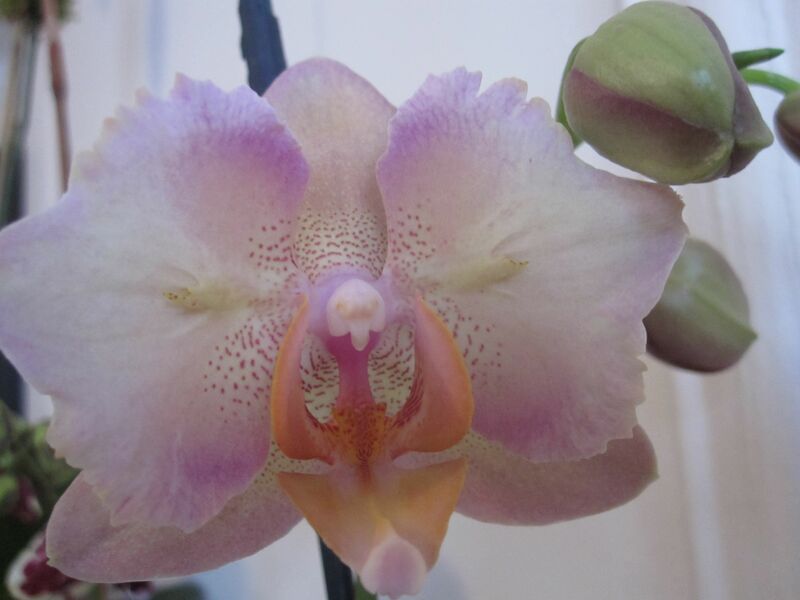 2.5 blooms are now open on this orchid! 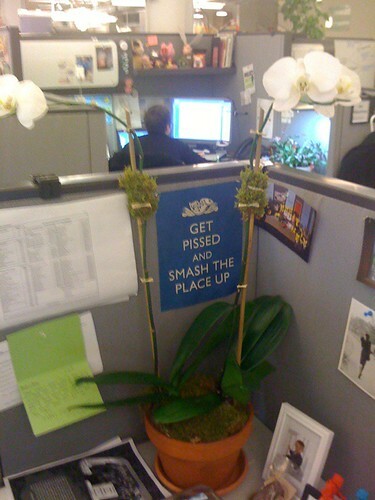 Double orchid all the way across the cubicle! 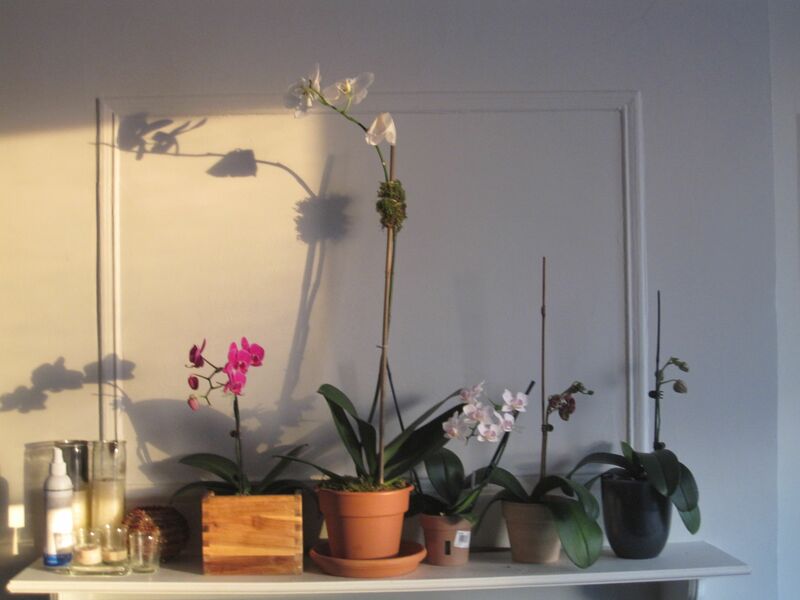 So when I got home, I repotted the orchids separately after cutting away some of the rotten roots. 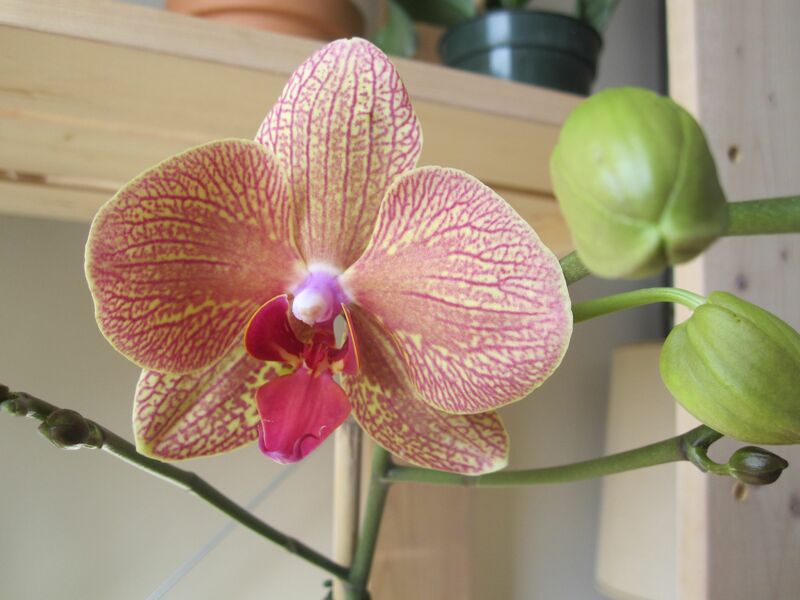 But overall they both look really healthy—the leaves look exactly how Phal leaves should: firm, glossy, and grassy green. Most of the blooms have fallen off, but that’s normal. 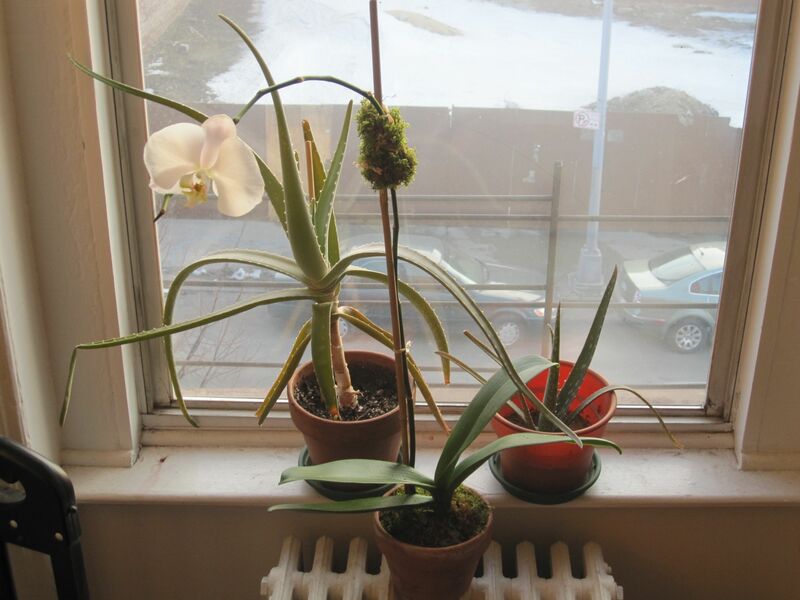 Here are the separated plants in my apartment…note how HUGE they are! They are at least twice the size of most of my orchids! 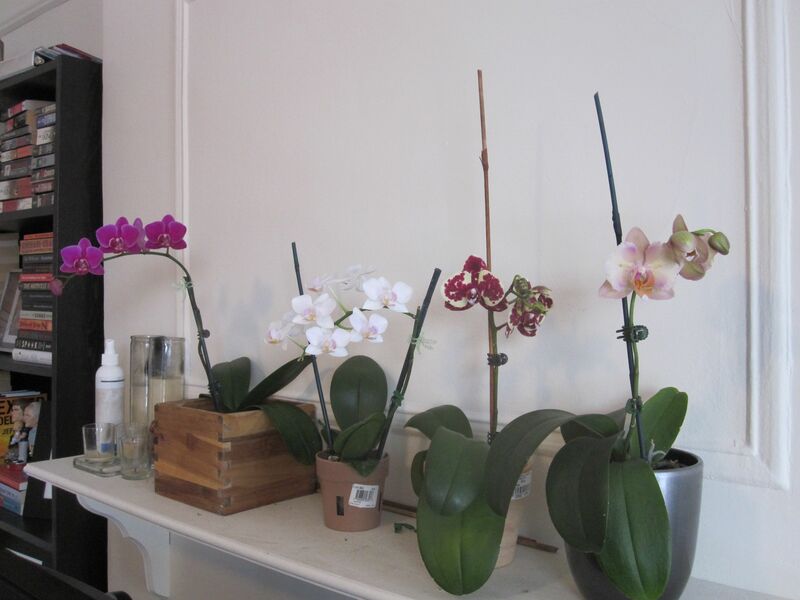 Thanks to Mo for the new orchids! I promise I’ll take good care of them! 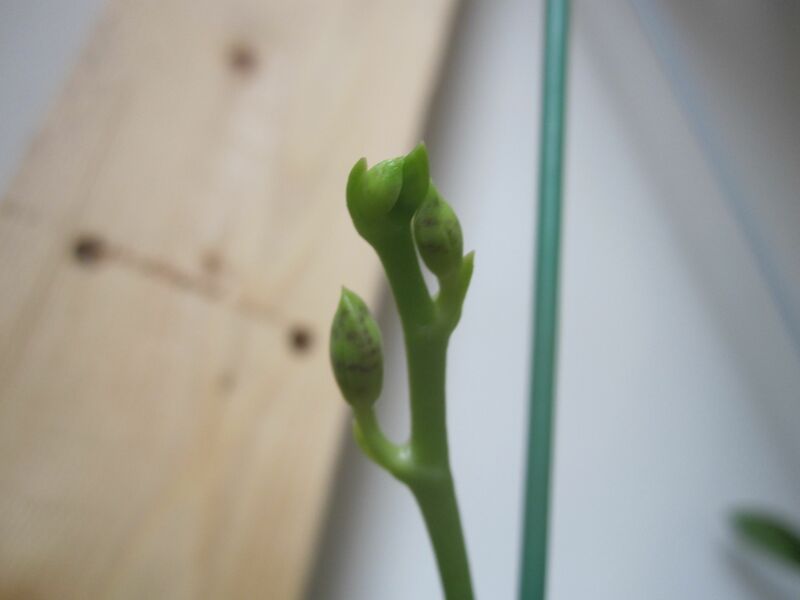 I also want to point out that my Phalaenopsis amboinensis that is in spike is now developing buds! They look like they will become teeny blooms! ← Happy One Year Blogaversary to Me! Yay! 🙂 I trimmed the spike one one of them because all the blooms wilted. Maybe it’ll rebloom from that spike! Looks like a great specimen. Any idea why there is sphagnum moss on the spikes Phals you “rescued” from your friend? Are there keikis growing there that would like some medium for their roots? 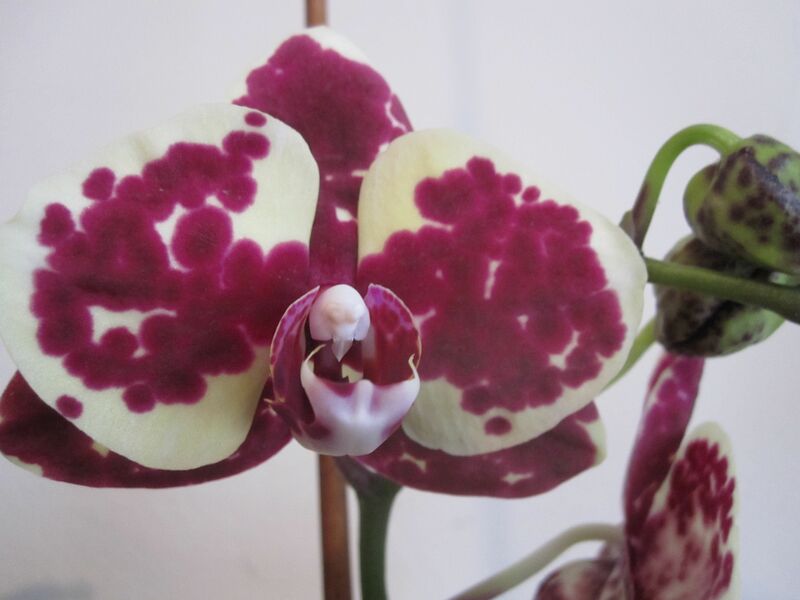 The moss on the Phal spikes is just decorative. I think I watered the Oncidium properly…who knows. Hopefully I can do a better job with my next one!